A nuclear plant accident happens when the heat generated by a nuclear reactor exceeds the heat removed by cooling systems. A chain reaction causes a breach of containment and soon, a leak of radioactive material into the environment follows. In such a situation, organisations would be struggling to do two things: to contain radioactive fall out and to restore stable cooling to the reactors. 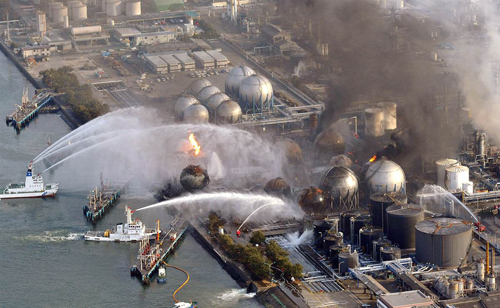 Japan’s nuclear accident was caused by an earthquake and a tsunami in 2011. In 2009, the world experienced an earthquake of a different sort. The shut down of Lehman Brothers triggered shocks that set the world shaking in economical fear. In a few years, re-sale HDB houses saw even 100% increase in prices. Exceptional locations even saw sporadic instances of HDB property hitting $1m mark. Investors were buying and selling private property, flipping them quickly to make a meaty profit. Those that were savvy to the market became newly minted millionaires in a very short period of time. But the middle income and low waged by-standers could only watch as the rich got richer. As it turns out, they soon would have to bear the ill effects of this overheated property market. With increased property prices, many begin to wonder if they can afford a house. Even with government support and assistance, the raw prices strike fear in the hearts of citizens. The rumour tsunami then begins – house prices are inflated more by exaggerations than what prices actually are. The latest restriction on a Permanent Resident’s ability to buy a resale apartment is one weapon in MND’s payload of cooling measures. Will it work? Well, we hear two schools of argument in the market: one blaming PRs for pushing up prices of houses and the other claiming (with data) that it is the locals, some of whom are parents who pay large prices as gifts for their children. This is a classic case of “you say, I say, who confirm?” In this case, it doesn’t look like the authorities wants anyone to confirm. News reports play up the headlines of the PR restriction, but if you read further, this is only one part of the cooling measures. Whether prices react or not – hard to tell as there is a tenuous link between the two. One thing we know for sure, the administration is serious about attacking the problem. 27,521 people became permanent residents in 2011, compared with 79,167 in 2008. Dependency ratios are in force to curb foreign labour. Labour Market Testing is in discussions. One after another, icy cold policies are belted at our red hot property “nuclear reactors”. However, If you are one of those expecting the prices to turn around and fall, you might be disappointed. All is well with cooling, but I don’t think we want the market to freeze. That is to say, I doubt any property owner would want the value of their houses to actually drop. If confidence in the property market reverses and starts to rattle, the events that follow could be hard to predict. Would panic selling occur? Would supply freeze up causing new buyers to pay more? Would a property crash trigger a spiral effect leading to recession? Fukushima is still years away from being cooled off safely. How long will our overheated property market take?